The internet is saturated with content and you need to do everything you can to make your content stand out in order to attract readers. 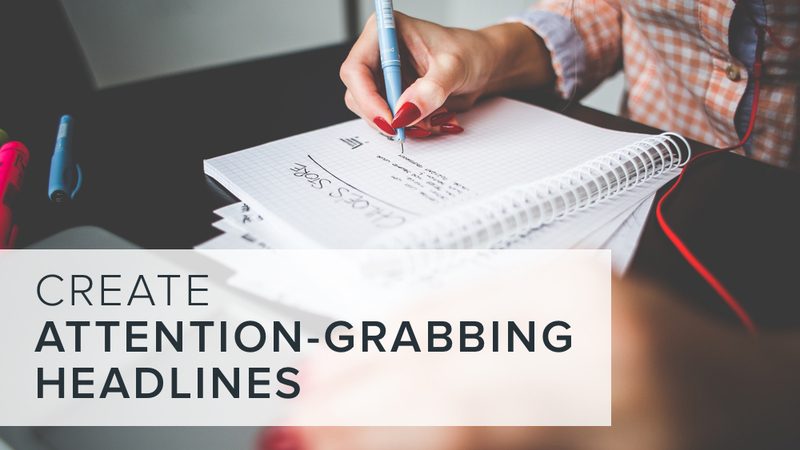 Attention-grabbing headlines are a great way to do this because without a compelling headline, no one will be interested in reading your content. A great headline can be more important than the content itself, because without a compelling headline, no one will be interested in reading your content. When crafting your headline, you want to use words that will not only describe the content but evoke an emotional response and trigger curiosity. These words are known as “power words” and they are crucial to any marketing campaign because they lead to consumer action. When you write your headline, really look and see if you are using power words. For example “10 funny shopping stories” is not going to have the same attraction as “10 shopping horror stories that will make you cringe.” Here is a great list provided by Optinmonster of 700+ power words for reference. If you are stumped on how to write a great headline, you can always use a headline template. Templates take the guesswork out of headline creation and ensure that your headlines grab attention and incorporate valuable keywords. Here is a useful infographic of fill-in-the blank templates from Hubspot to help you out. There is a science to writing a great headline. There are now websites that have mastered that science and use powerful metrics to rate the quality of your headline. A headline analyser site like CoSchedule will rate your headline for overall structure, grammar, and readability. Then it will rate the emotional power of your words and show you how your headline will look on search engines. A headline analyser like CoSchedule is a great tool to use when you need to make sure you’ve written an engaging headline. Headlines aren’t the only important piece of content marketing, however without a great headline, you will not grab the attention of potential readers. If you are looking for help with writing headlines or other ways to master content creation check out our content services at ALHAUS. Our content marketing experts can help make sure that you attract readers with catchy headlines and keep them engaged with your brand with interesting content. Is it time to hire a content specialist?